To enter Arena please use the intercom on the street at the Baltic Social door and someone will come down and get you. 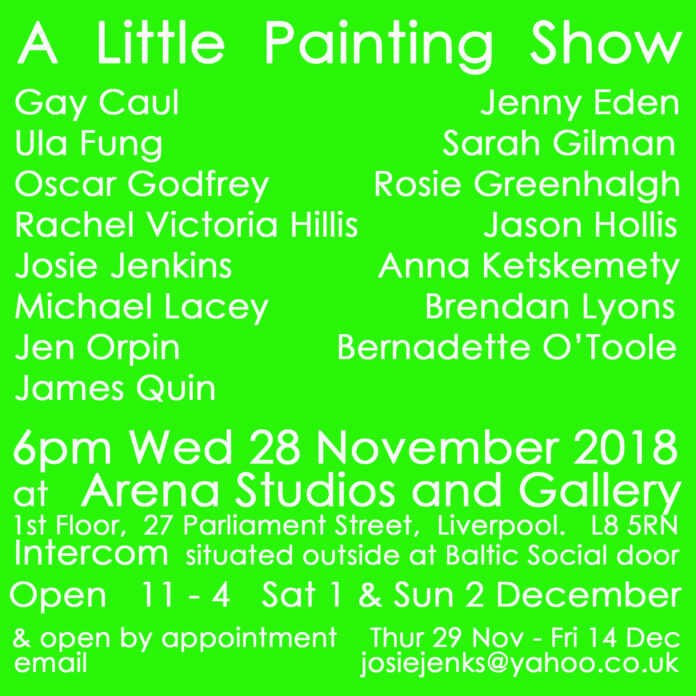 ‘A Little Painting Show’ is a little exhibition of little paintings by some artists from Liverpool and some from other places. We invite you to join us for refreshments and a chat with some of the exhibiting artists on Wednesday 28th November from 6pm. The exhibition will then be open from 11am – 4pm on Saturday 1st and Sunday 2nd December and by appointment between 29th November and 14th December. email Josie Jenkins – josiejenks@yahoo.co.uk.